Join the free 5-day challenge that walks you through exactly how I've created an effective & transformative vision that attracts good energy, great people and unlimited success. Subscribe to the newsletter to join the challenge. Each month, I learn more about what I want out of Thrive Lounge and what I can do to be my best self - for myself, my daughter, my career and Thrive Lounge all at the same time. Rather than staying up with the #TeamNoSleep night owls forcing myself to complete each task I put on my to-do list, I've become a master of triage. I've started to decide on what the two most important things for me to do today are - and then only doing those two things. That comes with the exception of Sunday, of course, when I do all of my bulk activities like blogging and social media. Here's the latest Big Wins and Epic Fails from my latest Thrive Lounge adventures. Let me tell you the best thing about doing good work in the community and documenting the change you have made is that people WANT to work with you. I've had some amazingly brilliant women reach out to me to become speakers for VisionCon and I definitely feel like I have my work cut out for me. We'll be announce speakers mid-October once we get a SPACE!!! O.M.G. While I love giving a good talk and sharing what I've learned in my many, many (MANY) failures, giving a talk takes up a lot of time. I scrutinize my work like crazy, try to make sure I'm telling the story in the best way possible, make sure I'm not speaking in circles (because I do that sometimes) and try not to get too "interview voice" because the corporate queen in me takes over sometimes - even when I'm not trying. DC Content Creator Collective is an accountability group for content creators in the DMV area. You know we're all about taking these online conversations offline and into the real world where we can see someone smile, learn about their experience through their eyes (rather than through a computer screen). This group is all about having a support system of people all going through the same content creation struggle! :) We'll discuss content planning, implementation, editing, delegating, profitability and really everything in between. Join us here. The latest in our fun + fab events, Visualize Your Victory is an elite costume event where guests will arrive and act the entire night as if they have already accomplished their 5-year goals. On a gorgeous rooftop overlooking the city, you'll walk the red carpet and smile for the paparazzi, dine on hors d'oeuvres, sip to your heart's content at our open wine bar and enjoy live painting + conversation with the city's most accomplished women. Join us in limitless thinking and engaging your mindset to shift from the ordinary into embracing success and abundance. Register here. After last month's epic fail, I was determined to redeem myself. I'm starting to get used to the fact that it's warm outside and as much as I really want to spend my days ordering mimosas on somebody's rooftop or patio, I need to keep working on Thrive Lounge every day. This month, I've buckled down a little better than last month, to find that elusive balance in between enjoying the summer sun and moving forward on Thrive Lounge. - Fill the branding boss masterclass and have a successful event! So... You guys, this was a disaster.... but not really. I could say it was a disaster because we only made one sale. However, I would like to call this a huge win for learning from my past life experiences. About 3 years ago, I sunk $5K into a business that I thought was going to be the Curlbox of kids crafts. I talked to my audience - who said that they LOVED the idea and would be happy to buy when it came out. When the product officially hit the market, I made $30. That was a real disaster. Every month, I try to take one small step towards preparing for our annual vision board conference but this time I threw in two. In the past few months, I've been really enjoying building a community around me through people I've met in online communities, the meetup group and our growing #ThriveSquad. With such a strong community all dedicated to pursuing their goals, I've decided I'm going to ask you guys who you want to see! The meetup group is still serving the email list growth very well (so well that we're thinking about starting a second meetup group). In the past month, we've been able to meet millennial women creators in person and have great conversations about their goals throughout the year. It's also a great way to help you put a face and personality to your brand's personas. Believe it or not, social media is not one of our goals this year. Instead, we're focusing on building our email list. The thinking behind this is that we do not own our followers on social media (ie. Facebook can change their algorithm whenever they want and they decide what followers see each post), but we do own our email list. While we continue to track our following here, it's just to have full transparency. However, rest assured, if we have a random jump, we'll be sure to let you know why! If you want to know how we got to our first 200 followers, take a look at our first month of blogging recap post. I got a co-organizer for My Instagram Is LIT meetup group! Makeda is the epitome of the DC Artist + Creative (Check out her IG here). She's a talented photographer that was the only person to show up to my first meetup. Now, she's joining me in running the group and bringing her mad photography skills and extensive knowledge of the DC Arts scene with her. It's been a real blessing to bring such a huge talent onto the team. All of the growth that I've been able to make in Thrive Lounge this month has been as a result of the supportive community around me. As I continue to grow as an entrepreneur, it's evident that my way to growth will be through the tiny seeds I sow into the community around me. Additionally, every interaction, including my failures, have had a positive impact on Thrive Lounge's future. Not only am I not deterred by my failures, I'm also not hindered by my fears. I'm excited to move into the next step of my journey with the power of a community and life lessons as my guide. 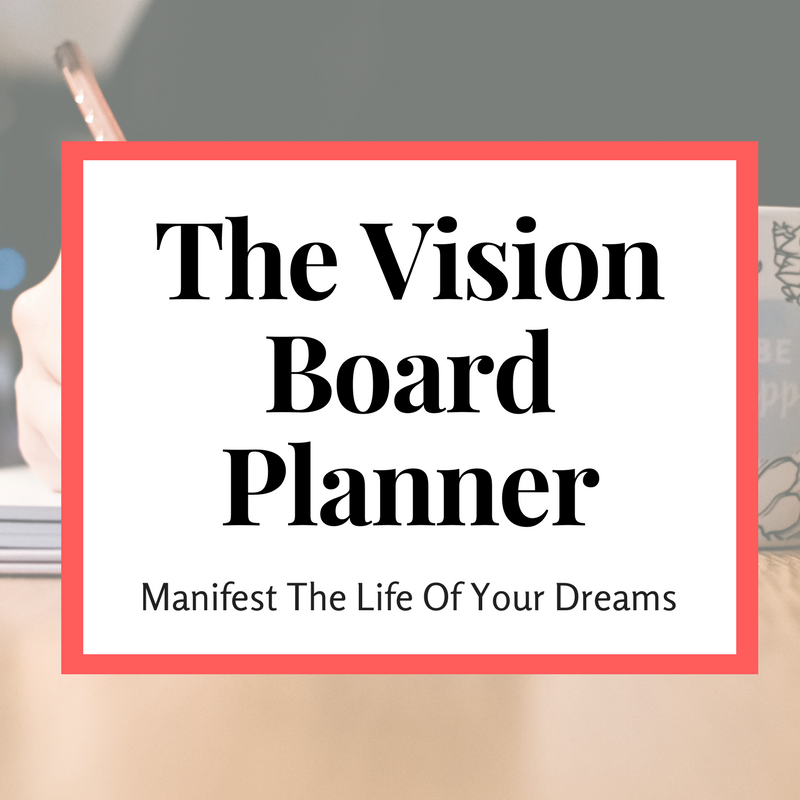 produce the highest quality vision board event... ever. We WILL add more VALUE by bringing in top speakers, presenting workshops that will catapult you into 2018 AND make sure we have the best food + drinks + giveaways. This month, we started working towards this end goal as well as the others we set last month. Start planning for VisionCon 2017. The email list jumped up a bit last month because we started a meetup group! Starting a meetup group can be a great way to meet your target audience in person and build a stronger relationship with them the old fashioned way. We LOVE doing nonprofit + corporate vision board workshops. This month was incredibly empowering because we had the opportunity to do a vision board workshop at Bridges to Independence, a nonprofit that helps lead individuals out of homelessness and into permanent homes. CLARITY Mastermind was a huge success! We got a first hand look at the types of questions people have about their businesses and learned the lessons others have picked up along their entrepreneurial journey. Tiny steps every day add up to a huge impact down the line. Even though we don't always see the result of our investment in the short term, if we stick with it we can all make a huge difference in our lives. The biggest take away this month is to invest your time, money, and energy wisely.